Gov. David Ige is considering vetoing 11 bills passed by lawmakers this session, including a measure that would authorize the use of medical marijuana to treat drug addiction; a bill that would create minimum, statewide standards for law enforcement officers; and a bill that would allow motorcycles to drive in designated shoulder lanes. Star-Advertiser. Gov Ige to consider vetoing up to 11 new bills. KITV. Gov. David Ige held a news conference in Honolulu today, after notifying lawmakers of his intent to veto 11 measures. Big Island Video News. Gov. David Ige has notified legislative leaders and key lawmakers of his Intent to Veto list, which includes 11 measures. Maui Now. Read the governor's full intent-to-veto list here. Ige: Hawaii Not Ready For Police Standards Board. A bill to create the board passed unanimously, but if the governor follows through on his intent-to-veto list, Hawaii will remain the only state without one. Civil Beat. Governor rejects measures related to medical cannabis, motorcycles. Hawaii News Now. Some members of the state’s visitor industry are applauding Gov. David Ige’s decision to place a bill that would have increased visitor taxes on his intent-to-veto list. Star-Advertiser. There are a lot of choices in the race for lieutenant governor, and on Monday evening, five Democrats, two Republicans and one Green Party candidate tried to stand out from the crowded ballot during a forum sponsored by the League of Women Voters of Hawaii County. West Hawaii Today. Commentary: Race Still Matters In Hawaii Politics. When an analyst said Ed Case has an advantage as the only white Democrat running for Congress, many of us were taken aback. We shouldn’t have been. Civil Beat. Businessman Runs For Senate In Hawaii — And Several Other States. The California millionaire says he loves Hawaii, but he’s also running in Florida, Minnesota, Vermont, Washington and Wyoming. Civil Beat. Hawaii leaders are weighing in on the U.S. Supreme Court’s ruling on Tuesday to uphold President Donald Trump’s travel ban, a policy that put the state at the forefront of a months-long legal challenge. Hawaii News Now. The Hawaii Emergency Management Agency is inviting the public to submit input for the state's multi-hazard mitigation plan update in a series of open houses. Hawaii News Now. City to double Saturday staff at some driver licensing centers, satellite city halls after outage. KHON2. A widespread outage affected hundreds of people who wanted to renew their drivers licenses, get a state ID or pay their property taxes at the city's 10 satellite city halls Monday. Hawaii News Now. City repairs outage at Honolulu satellite city halls and statewide driver’s licensing centers. Star-Advertiser. A statewide computer outage Monday prevented Department of Motor Vehicle customers from obtaining driver’s licenses, state of Hawaii identification cards, registrations, renewals and titles. Garden Island. A 47-year-old woman changed her plea to "no contest" on Monday to first-degree theft charges for allegedly selling diabetic test strips on the black market. Hawaii News Now. U.S. Army Hawaii will be hosting its 47th annual "4th of July Spectacular" event from 10 a.m. to 9 p.m. on Independence Day. Hawaii News Now. Hawaii County Civil Defense Agency reported Monday that 657 homes have been destroyed by the massive volcanic flow that began May 3 in Lower Puna and has since covered 6,164 acres with lava. Star-Advertiser. Ahalanui Beach Park might be the next area threatened by lava as the flow front in lower Puna inches southward toward Warm Ponds. Tribune-Herald. Gov. David Ige announced Monday that he is considering opening up a new area for people to view the lava on Hawaii island. KHON2. The ideal site to safely witness the ongoing Kilauea eruption may not even be close to the source in Hawaii island’s vast Puna district, Gov. 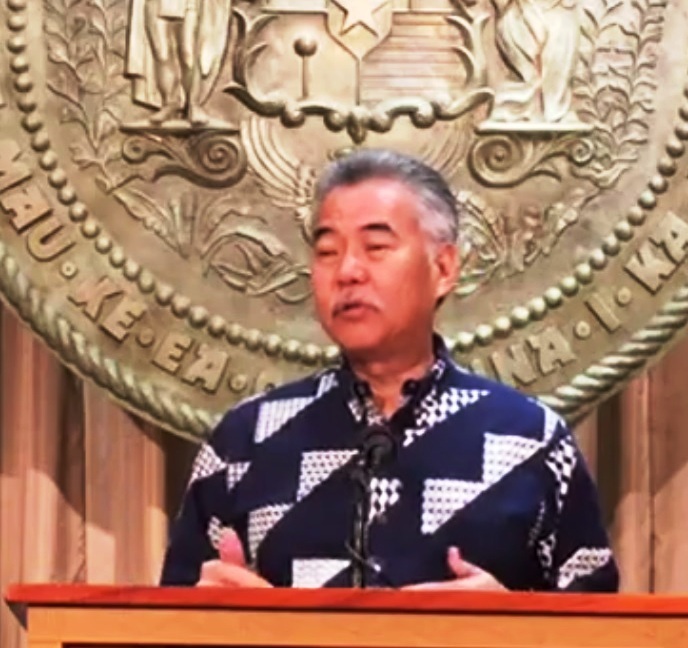 David Ige said Monday. Star-Advertiser. Helicopter Tours of Kilauea Volcano are Booked Solid. he Kilauea Eruption on the Big Island has carved a path of destruction in Pahoa but business is booming for tour companies offering an up-close view of the lava flow. Hawaii Public Radio. State ready to offer financial support, but Hawaii County has to ask. Star-Advertiser. The Kilauea eruption has taken a toll on many Puna flower farms, leading to limited availability and higher prices for certain items statewide. Hawaii News Now. NASA has been using satellites to assist first responders dealing with the volcanic eruptions on the Big Island. KITV. As management of the emergency resulting from the Kilauea volcano eruption that began May 3 transitions from response to recovery mode, the number of Hawaii Army and Air National Guard troops deployed to East Hawaii has declined dramatically. Tribune-Herald. Inside and outside, Jaggar Museum sees big impacts of Kilauea eruptions. Hawaii News Now. Kilauea lava channel transports 'lava boats'. Geologists captured this time-lapse video of the perched lava channel issuing from Fissure 8 on Kilauea’s lower East Rift Zone on Saturday. West Hawaii Today. There will be a community meeting Thursday on the ongoing seismic activity at the summit and the continued closure of the Kilauea section of Hawaii Volcanoes National Park. Big Island Video News. Congresswoman and candidate for Hawaii governor Colleen Hanabusa is calling for “immediate action to protect Puna residents’ voting rights”, and to avoid the sort of disaster-related upheaval she witnessed in 2014, in the wake of Hurricane Iselle, during her run for U.S. Senate. Big Island Video News. Puna Councilwoman Jen Ruggles has withdrawn her candidacy for re-election, leaving two political newcomers as the voters’ choice for the District 5 council seat. West Hawaii Today. $95M Kailua-Kona development project set for completion in 2020. West Hawaii Today. Mayor Alan Arakawa today announced the appointment of Planning Director Will Spence to serve as Director of the Department of Housing & Human Concerns, and Planning Deputy Director Michele McLean as Planning Director. Maui Now. Housing summit set for landlords, rental managers. Focus aimed on renting to homeless, lower income people. Maui News. The Maui Department of Environmental Management Wastewater Reclamation Division issued a reminder to customers today that the sewer user fee will increase by an average of 3%, effective July 1, 2018. Maui Now. East Maui Sees Largest Stream Restoration in Hawaii History. Hawaii Public Radio. Hearing set on tax proposal. Shall 3 percent of real property tax revenues be earmarked for the purpose of affordable housing? Garden Island. Former County Council member and former prosecuting attorney Shaylene Iseri has filed to run for the council again. Garden Island. A recently approved solar-plus-storage project on Kauai will help the island achieve its 2030 renewable energy goals 10 years ahead of time. Pacific Business News.